When your aging loved one needs help, your natural instinct may be to offer assistance. However, you may also worry about giving your loved one so much help that he or she begins to rely on your assistance all the time. As you step into your new role, use the following strategies to provide care without sacrificing your loved one’s independence. Your loved one should never feel as though everyone else is planning his or her life. Try to involve your loved one in any major decisions regarding his or her care. For instance, your loved one can give an opinion regarding who should drive him or her from one place to another. 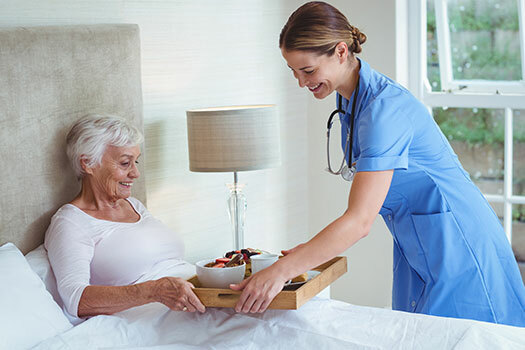 If you have a senior loved one who needs help maintaining a high quality of life while aging in place, reach out to Home Care Assistance, a leading provider of home care Portland families can rely on. All of our caregivers are bonded, licensed, and insured, there are no hidden fees, and we never ask our clients to sign long-term contracts. If you haven’t spent a great deal of time with your loved one, get familiar with his or her routine before you jump in with ideas regarding how to help. For instance, taking over daily tasks such as meal prep could eliminate several opportunities for your loved one to maintain independence. Instead, observe your loved one’s activities for a few days to identify areas where he or she has difficulty. Then, you might offer assistance with only the tasks your loved one can’t do alone so he or she continues to retain other abilities. Even after an observation period, you may come across situations where you are not sure how much your loved one can handle alone. For instance, he or she may need to put on a rarely worn suit that has difficult fasteners. Let your loved one try to do these types of tasks independently first. If you notice your loved one having difficulty, ask if he or she would like your help. Some tasks may take longer for older adults, but they can often be done independently with a little patience. Aging adults who require assistance with the tasks of daily living can benefit from reliable elderly care. Portland, ME, families trust in Home Care Assistance to provide the high-quality care their elderly loved ones need and deserve. Our caregivers are trained to help seniors prevent and manage serious illnesses and encourage them to make healthier decisions as they age. There are many tools available that can help your loved one manage everything from personal hygiene after toileting to safely reaching for objects on a high shelf. When your loved one encounters a challenging task such as tying his or her shoes, find out if there is a tool available that could make it possible to do the task independently. If not, you should only offer as much assistance as your loved one needs to complete the task. Your loved one should not rely on you as the sole caregiver since this encourages dependence. To prevent your loved one from becoming dependent on you, make sure to involve other caregivers in his or her care plan. Additional caregivers should also include people from several different backgrounds so your loved one benefits from variety. For instance, you could have another family member stop by once a week for a lunch date and a professional caregiver visit several times a week to assist with bathing. Living independently is important for seniors who want to maintain a high quality of life. For some, this simply means receiving help with tasks that have become more challenging to manage over time. Even when families have the best intentions, they may not have the time to provide the care their elderly loved ones need and deserve. If your loved one needs help for a few hours a day or a few days a week, reach out to Home Care Assistance, a trusted provider of respite care Portland seniors can depend on. To schedule a free in-home consultation, give us a call at (207) 835-4849 today.